This lovely dining set will be a beautiful addition to your home. 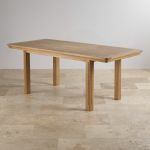 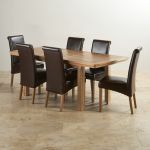 It is made of our stunning Canterbury ft dining table in natural oak, deigned to make a statement. 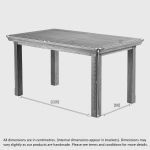 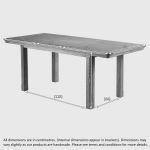 The table is extendable, with a handy butterfly mechanism creating extra seating when required. 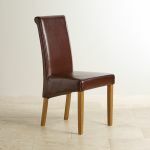 It's paired with 6 of our ever popular Scroll Back chairs, upholstered in 100% real brown leather. 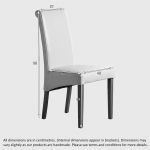 Bring this high quality dining table chairs into your home today - or why not create your own Canterbury set with our exclusive Dining Set Builder!